Super Mario 3D Land wasn't the first 3D Mario to grace a Nintendo portable - that honour goes to Super Mario 64 DS - but it was the first original game of its type. Before we talk a little about the game, the context of its release is important. Within a few months of the 3DS launching in Spring 2011 Nintendo was forced to react to a dramatic decline in sales, with one measure being a Fall 2011 price cut relatively unprecedented in terms of how quickly it was implemented. While the price cut is credited as providing a major kickstart in boosting the 3DS in the marketplace, late 2011 delivered key blockbusters. Monster Hunter 3 G in Japan, with Mario Kart 7 and Super Mario 3D Land providing a boost worldwise. It was an impressive Holiday line-up that helped salvage the portable's market position. Moving on to the game itself, it includes nods and references to retro classics - such as the Super Leaf - and some new items such as the Boomerang Flower. In addition there's an equivalent to the Super Guide, with the Invincibility Leaf and P-Wing helping players if they lose too many levels in the game. The key distinguishing feature of this release is in its design approach, however, blending mechanics and principles from both 2D and 3D Mario games together. Below is a summary given by the late Nintendo President Satoru Iwata in an Iwata Asks interview on the game. The same people made the original 2D and the original 3D Super Mario games, so it's not like their roots are different. However, as they each grew and developed, they grew apart. You made Super Mario 3D Land to connect them again. Stereoscopic 3D came along and you were able to create a bridge between 2D Super Mario and 3D Super Mario. These unifying features include the objective of beating a level by reaching the goal pole, while also exploring to find collectibles. A number of levels switch between 3D and 2D perspectives, and even 3D stages are more linear and structured in nature than in home console predecessors. The 3D in the name also points to the use of the autostereoscopic effect of the 3DS. Though this title can - naturally - be played in 2D, it's a prominent example of a game that tries to utilise the effect in unique ways and to improve gameplay. Puzzle rooms are far easier to perceive with the effect turned on, some levels are designed to emphasize aerial perspectives - such as long descents through the air - and the visuals can enable an easier perception of depth for attacking enemies or jumping on platforms. It's one of the most effective uses of the technology. The hybrid approach of 2D and 3D sensibilities, meanwhile, have proved a commercial success. 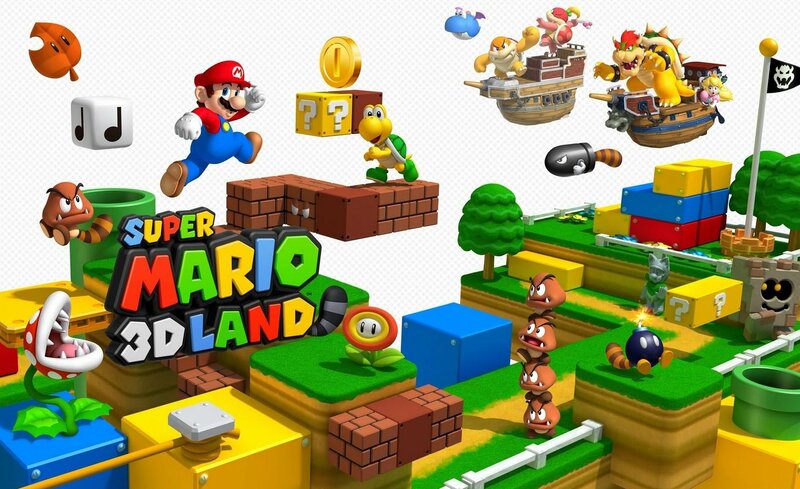 Super Mario 3D Land is - at the time of writing - the fourth highest selling 3DS game on 10.10 million units, and though it's had an extra nine months on the market is notably ahead of 2D title New Super Mario Bros. 2, which has shifted 9.3 million units. This success and its role in reviving the 3DS in late 2011 no doubt helped prompt the decision to push ahead with Super Mario 3D World for Wii U.
Super Mario 3D Land was critically acclaimed at release and certainly captured an audience. Though opinions of it among some in the dedicated Nintendo community seem to have cooled a little in subsequent years, its role in the history of the 3DS and as a pioneer of 'hybrid' Mario gaming will endure. Super Mario 3D Land was the first game I played for my new shiny 3DS around the Holiday season. I knew right away that it would be a masterpiece! I absolutely loved playing this new platformer wherever I went. This was a great start to the new generation! My first 3DS game...and only 3DS game for about a month (didn't get any more until Christmas. My birthday's in November, by the way.). Great game. This was my first 3DS game, and I loved every minute of it. It was very fun; a great game. Wonderful Mario game. I've 100%ed it multiple times and the 3D looks great. I think this was the only game I played with the 3d effect on for the whole game. I feel like it is one of the only games that it actually enhances the gameplay. All other games seem to just use the 3d as a neat gimmick. I got my 3DS original in September 2011 my first game was a a surprisedly choice splinter cell 3D,but super Mario 3D land was my first day one game being bought. It was the first game I got day one not to be repeated again until smash bros. 3DS.I loved it except for the time limits. I was in the middle of a 100% playthrough a while back...dunno why I didn't finish it, but I love this game. @Giygas_95 I disagree. While a lot of 3D Land felt more phoned-on and easier than 3D World, the final boss battle wasn't. I enjoyed the 3D Land Final Boss battle more than what happened in 3D World. I actually find the same complaint in both 3D Land and 3D World. They're both fun, both too short. That said, they're still great games! My first 3DS game that I played and such a great game to start off with a new handheld. Also this game has an incredible soundtrack. Hardly, unless you're comparing it directly to Super Mario 3D World. I view this game similarly to the first NSMB, refreshing at first, but now it's starting to wear thin. Especially when it takes much more from the 2D formula than the 3D formula and the 2D formula has been done to death (which BTW is not a hybrid style). They're going to need to change the 3D series formula pretty significantly if they want it to work as a hybrid style, it needs to be able to work so that the player can choose to either get to the goal and go from level to level in order or explore the levels freely and collect stars. Having to do both to progress defeats the purpose, the benefits of both styles cancel each other out. @PigmaskFan It's also a disappointment compared to 64, Sunshine, and Galaxy. @Bolt_Strike I sort of disagree, being able to collect stars while ultimately reaching the goal negates any need for backtracking a player has to do. When you are searching for green stars you're also technically exploring the world as well. If you can do all the exploring and finding the green stars and reach the goal in time, then that means you're a really good player. I like this style unlike Galaxy 2, where they just placed green stars in hidden places after collecting all the normal stars, so then it just felt like a big redundant backtracking fetch quest where nothing exciting happens when people already took the time to explore the galaxies beforehand. @CatMarioTime It's not about backtracking, it's about getting to choose how you progress through the game. You can't do that in 3D Land and 3D World because you have to beat one level to unlock the other. And the linear level design kind of kills the exploration element. I think I'd actually have to rate this higher then the Galaxy titles, but still below 64 and Sunshine. @CatMarioTime That was my biggest complaint against Super Mario Galaxy 2 - the Green Stars. I really had to force myself to go back and finish it. I mean it was worth it for those final levels, but it was annoying. Love this game, and it was also my first 3DS title. I played it to death before moving on to OoT3D. I've been playing Mario games for about 20 years now and I can easily say that the 3D series (both 3D Land and 3D World) are really good. They cannot really be compared to the 2D and 3D masterpieces (SMB3, SMBW, SM64, SMG) but they are definitely way more fun than the NSMB series, for which I have almost no interest. I've cleared SM3DL with 100% three times now and I still occationally get back to it. Best portable Mario game. SM3DL really is an awesome game, the 3D effect was genunely effective and some of the "falling" levels could almost give you vertigo. The only fly in the ointment was unlocking the last level required touching the top of every goal post and re-playing every level as Luigi! I think it would have been perfect if not for that. I remember getting a 3DS XL just to play this and I still keep it as the first icon on my home screen even though I've since updated to a New 3DS XL. As good as 3D Land was, I was still put off by the recycled world themes and lack luster soundtrack. It doesn't standout in this sense and was banking a little too hard on SMB3 nostalgia at times, it's a good game but far from being a masterpiece like 1,2,3, World or M64. I really enjoyed both of the 3D Land games. I love the fusion of 2D mechanics and 3D environments, and they're right up there with the classics in my book. This game was awesome, every level was fun. Underwater levels were nice to play, and as difficulty increased, the game didn't get frustrating. The 3D was crazy good! I loved jumping off a high ledge and nearly getting vertigo from the depth. Awesome game. 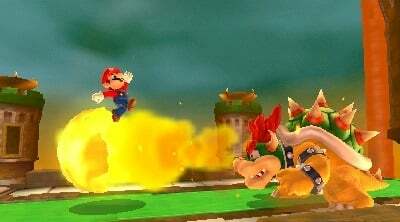 This game is actually one of my favorite Mario games and it is a toss up as to which is better between Land and World. Doesn't matter though since they are both excellent! A lot seem to forget that this game got affected by the Tsunami 2011. I'm curious why no one not even Nintendolife mentioned the Tsunami fact? I'm one of the few people that likes this game better than 3D World. It just seems more polished and thought-out to me and this particular style seems more suited to a portable system with stereoscopic 3D. I can't tell you how many times I've died in dumb ways like jumping off the world or missing an enemy's head in 3D World because the stereoscopic 3D isn't there. One of the best hand held Marios out there. They could really use a sequel. This game was quite remarkable. It could so easily have gone wrong, trying to blend in the 2D sidesrolling Marios with the 3D ones. Instead, it was perfectly balanced. It is like Super Mario Bros. 3, but with a sort of paper diorama perspective that allowed for more movement than just left and right. This is the only 3DS game where I thought the 3D effect was actually an enhancement to the game and not a purely cosmetic thing. The 3D is also very visible, it looks much better than in other games. It's kind of like how every movie after Avatar is dissapointing in 3D. And even without the 3D slider on, 3D Land is just a gorgeous game with its Super Mario Galaxy style visuals. My only gripe was that it was fairly easy. After a week and a half I had beaten even the meatiest of the game's huge set of hidden worlds with both Mario and Luigi. For the average player there's probably still plenty of challenge, but platformer veterans have known tougher Mario games. When I first saw this, it really didn't interest me, and from the little I played of it, it's an okay game. Not one of the best IMO. It's great that Nintendo often give this game away for free at Christmas. It means everybody can enjoy this masterpiece! It also shows of the 3D effect very well (sorry 2DS owners). Good game, but I'm more fan of 64, Sunshine and Galaxy games. Best original portable game ever.